New Years is the end of gluttonous holiday eating for most. And if you’re one of the many who wants to eat healthier this year, there are plenty of ways you can stay on track without skimping on flavor or comfort foods! Here’s how to get started with your healthier diet. Get to know your seasonal super foods! Shopping for foods that are in-season will ensure that you’re getting the freshest and most nutritious foods available. To do so, you’ll need to know what to weed out and what to stock up on. Check out the list of top super foods like pears, pomegranates, and root vegetables you can add to your fridge and pantry this winter. 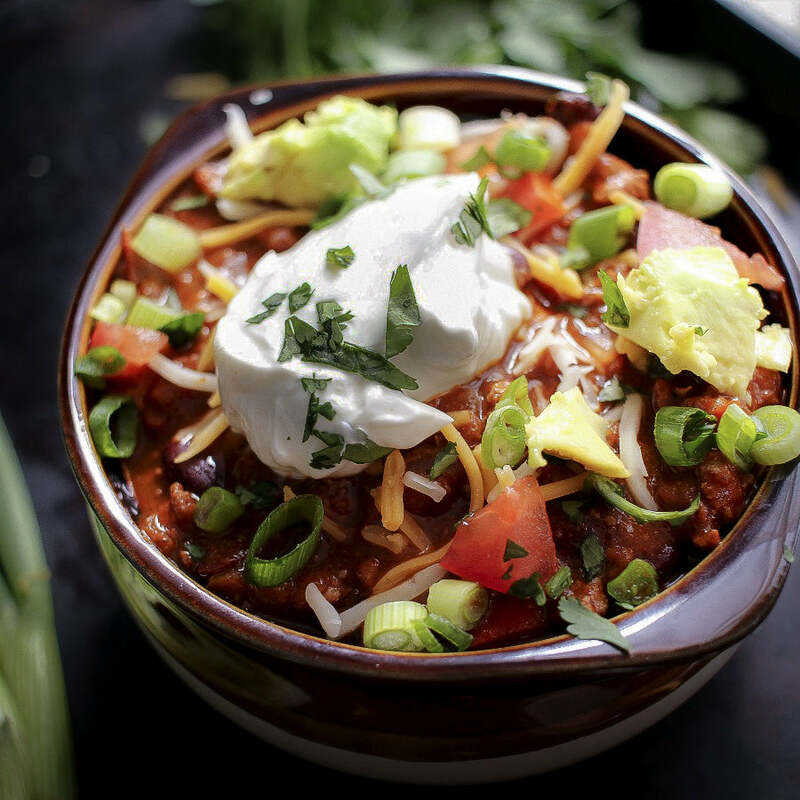 The crock pot may make this meal seem lazy, but it just frees up time so you can go get active in the snow or at the gym. 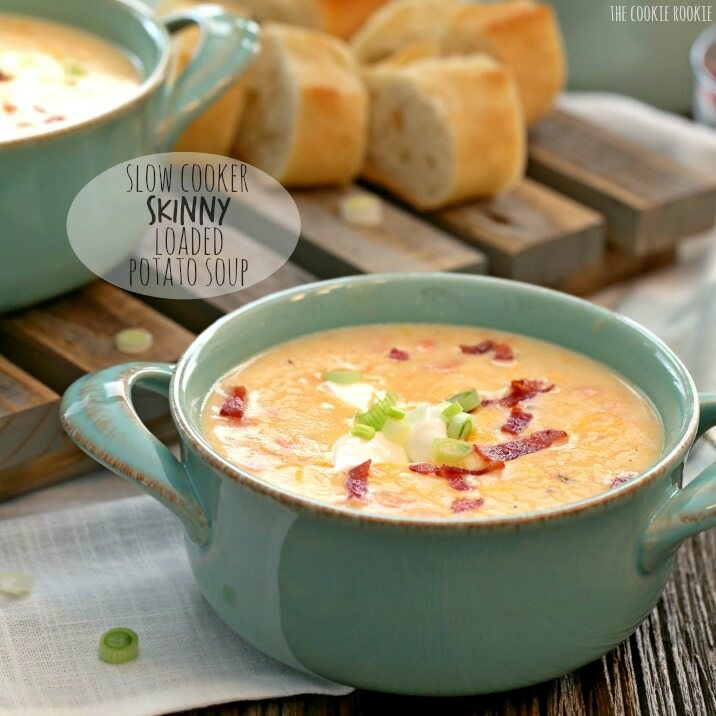 Plus, this loaded potato soup tastes calorie heavy, but it has a lot of low fat ingredients and nutrient-rich veggies that will keep you healthy. No one likes to feel deprived, so treat yourself without blowing your resolution with this recipe. Fries are one of those comfort foods that are hard to resist, so don’t banish them from your kitchen! 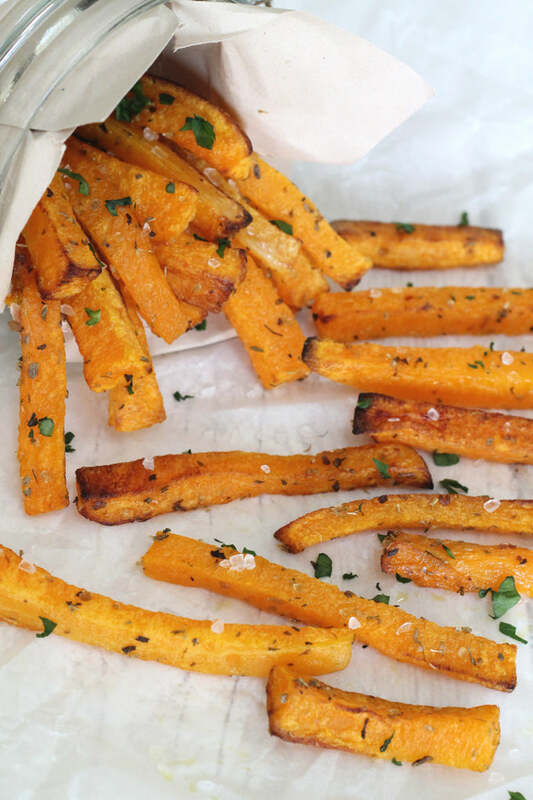 These sweet potato “fries” are high in vitamins and low in fat if you go light on the oil and bake them in the oven. You can sprinkle them with fresh herbs to add flavor and still dunk them into ketchup or a low fat aioli so you don’t feel like you’re missing out. Salad doesn’t just have to be boring lettuce and low fat dressing. You can add so much flavor in a healthy way by using atypical ingredients. 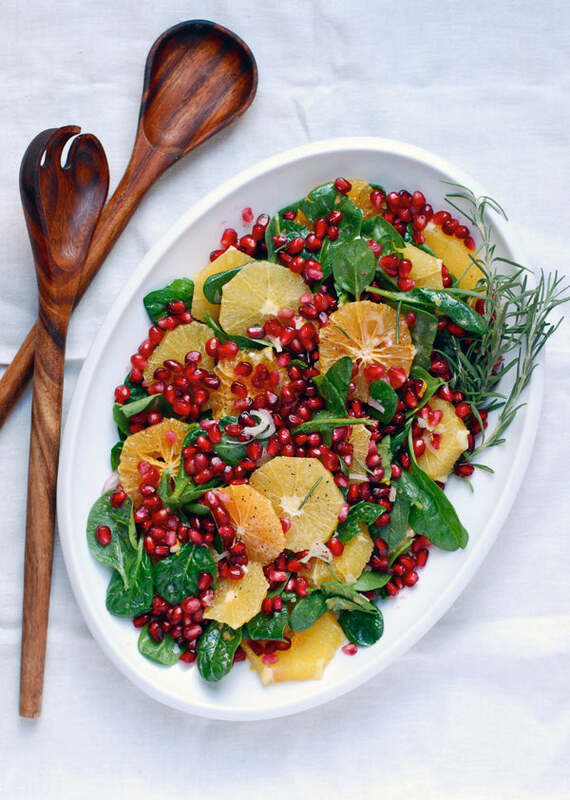 This winter salad uses citrus and one of your super foods: pomegranate! You can also add even more vitamins and healthy goodness with some chopped up kale amidst the spinach. Diets never last long when you forbid yourself to enjoy certain food groups. And this dessert is something you can eat to satisfy a sweet tooth and stick to your diet. 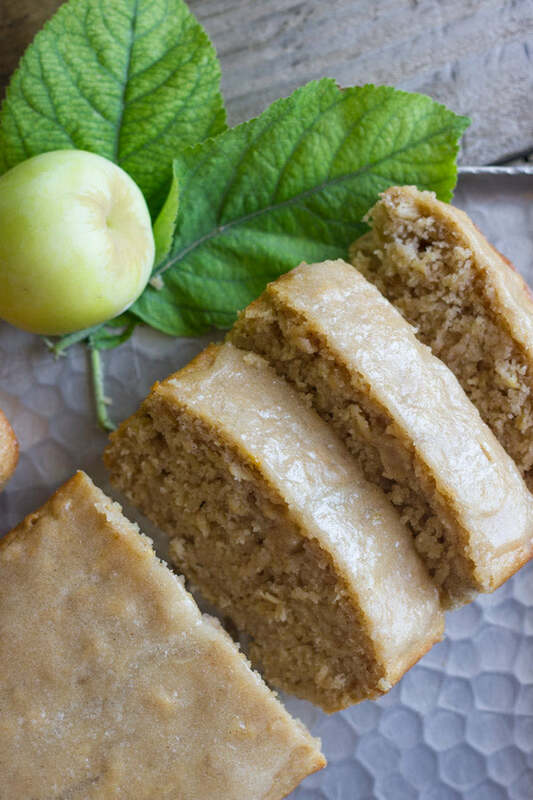 Using little sugar and oil, you’ll be amazed at how flavorful and moist this apple cinnamon oatmeal cake is. Stay full longer with fiber-rich foods that satisfy winter cravings. This chili is a great example of that. You can opt to only use veggies or low fat, lean ground turkey to get a full meal in one bowl. The key to staying on track with this one is to limit the fatty toppings like cheese and sour cream, but give yourself a little wiggle room with a small dollop or sprinkle! 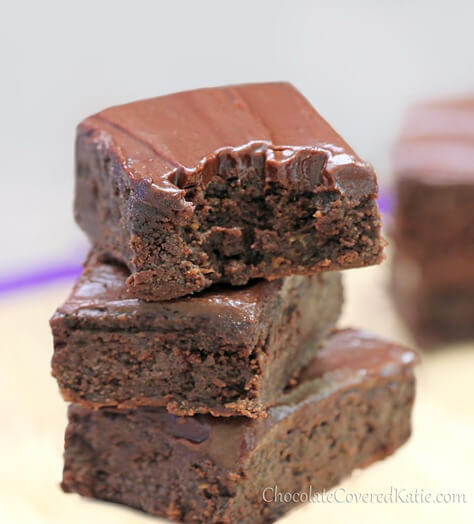 Gooey chocolate bars are also on your New Years resolution diet plan! At least these anyway. You’ll be amazed at what simple substitutions can do to take the “un” out of “unhealthy.” Plus, if you use dark chocolate with a high cacao percentage, you’ll actually tap into some antioxidants that are good for you! 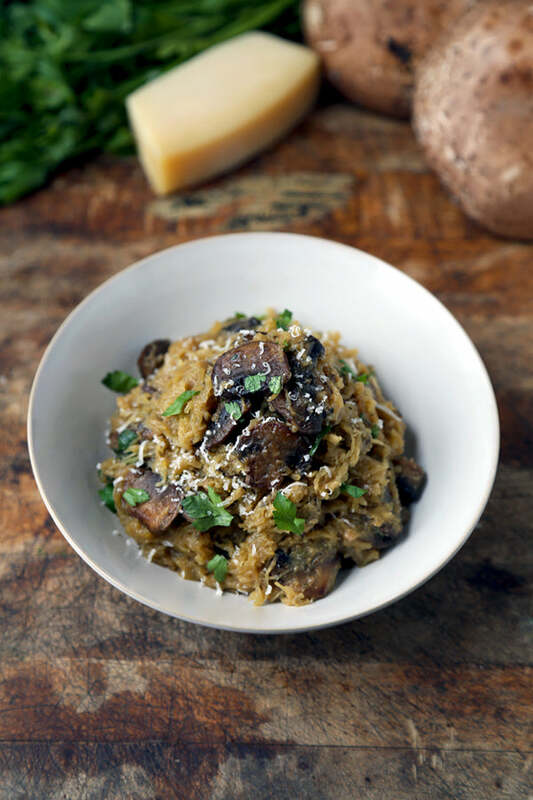 Spaghetti squash is angel hair’s doppleganger, but with much less carbs! Enjoy your “spaghetti” and meatballs that you crave by baking this squash, cutting it open, and twirling out its spaghetti-like interior. You’ll be wowed by the texture and flavor and how much it mimics pasta. Use it in any pasta recipe from scampi to scallopini to a ragú-drenched dish. Like we said above, dark chocolate with high levels of cacao has health benefits that can cut back on the risk of developing heart disease! So if you have to have some chocolate this season, don’t sweat it. 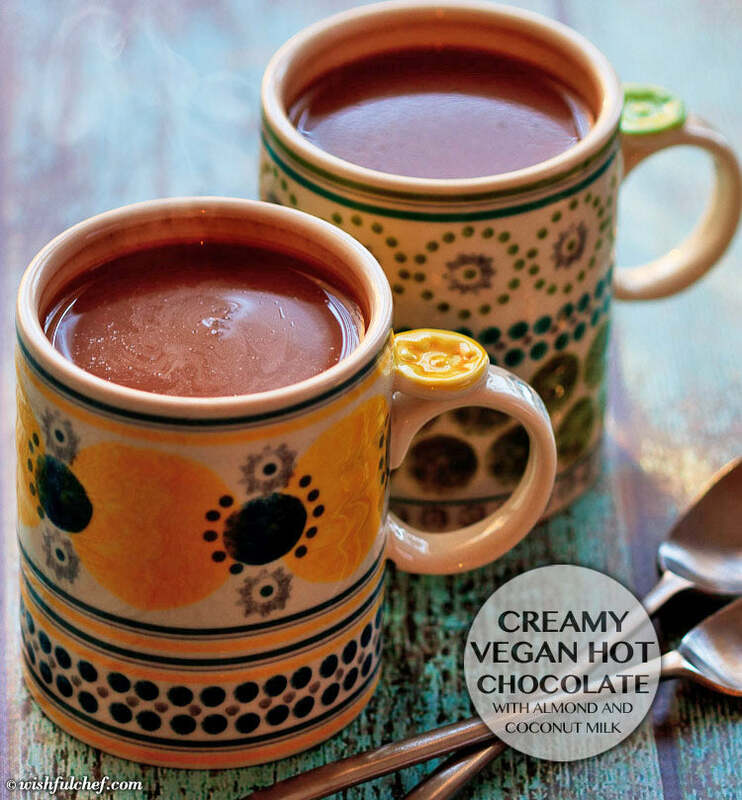 Just opt for an almond milk base or low fat option and use high quality, dark chocolate to add lots of flavor and healthful antioxidants. Breakfast doesn’t have to be cereal or pancakes. Smoothies make an incredibly nutritious option that will fill you up and check off some food groups. 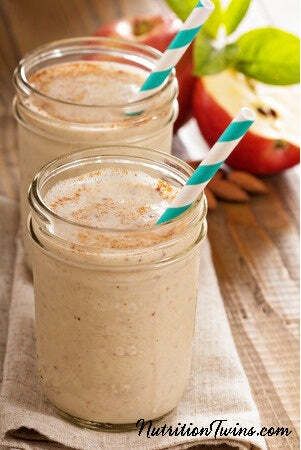 Plus, making a smoothy is a great way to disguise health foods you might not necessarily love. So trust us. Break out your blender, try mixing fruits, veggies, nut butters, and more together and see how good you feel afterward. Flour isn’t the only way to make pizza dough. You can use cauliflower to cut down on carbs and still give yourself a crunchy, topping-worthy base. With a large sprinkling of veggies, tomato sauce, and light dusting of cheese, you’ll have a healthy meal that will satisfy your pizza cravings. It’s the most important meal of the day, after all! You know how it feels to start your day on an empty stomach. The hungrier you get, the more likely you are to dive into the office candy jar or overdo it on lunch. So don’t put yourself in that debacle! 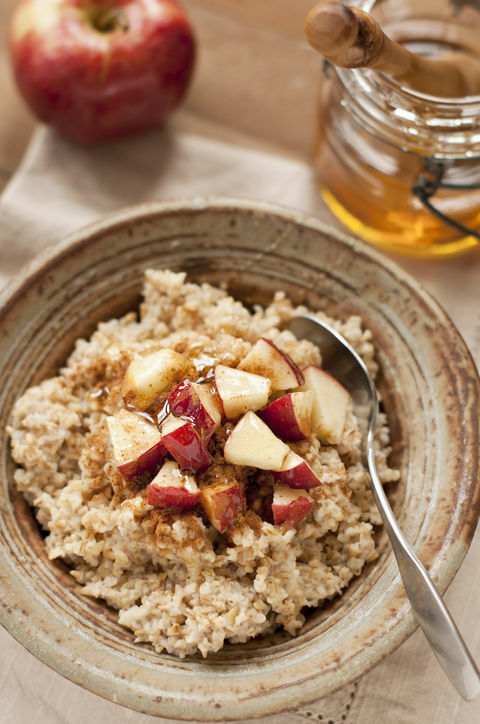 Eat a hearty meal like oatmeal for breakfast and you’ll stay full on healthy foods for longer and keep cravings at bay. Oatmeal is also an awesome choice because you can add practically any topping you want and go savory or sweet depending on your mood. This isn’t some kind of cruel joke. 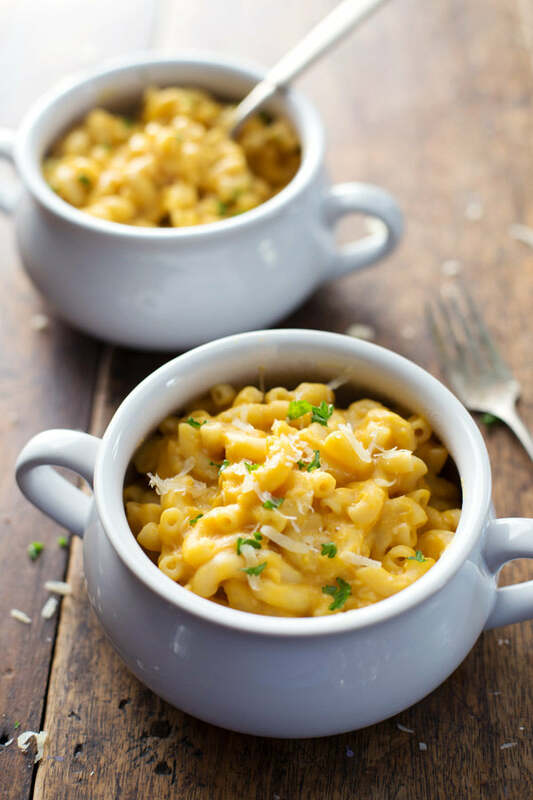 You actually can enjoy mac and cheese while on a healthier diet! This one is made with stronger tasting cheese (like Gruyere) so you need less of it and butternut squash puree for creaminess. Paired with whole wheat or quinoa pasta, this is one healthy meal that will taste like comfort foods of last year.